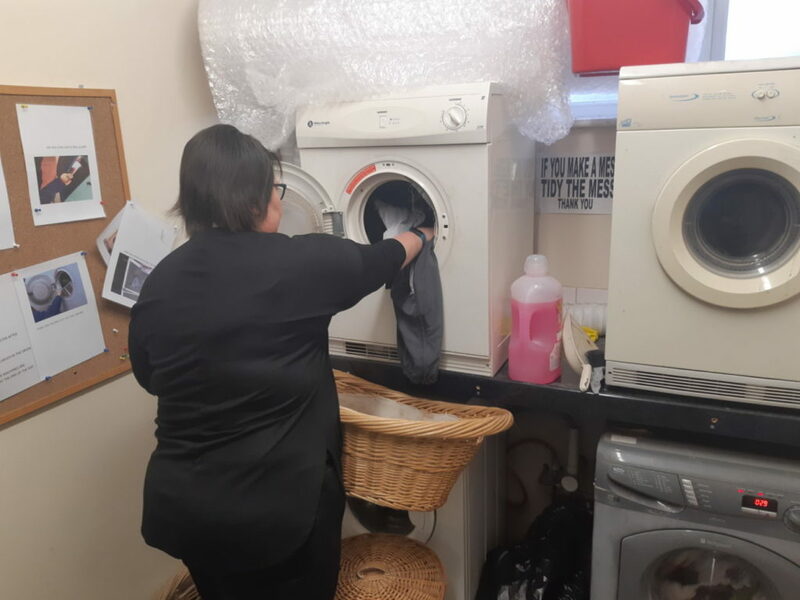 Beccy Forbes has been volunteering at Crest Co-operative since November 2017 and describes her experience as “giving me my freedom”. A mother of two girls, both who are in school, Beccy used to work at a school but found the job to be frustrating. “I didn’t enjoy it”, Beccy explains. “I did enjoy working with the kids but found the staff to be difficult to work with”. After a period of time Beccy chose to quit her job and found herself unemployed, taking the kids to and from school and spending a lot of time indoors. “My youngest daughter has additional needs so life can be difficult at home, and I started to suffer from depression”. Shortly after, Beccy came to the Crest store in Llandudno Junction, having been a regular customer for the last decade. “I used to come to Crest all the time, back then there were lots of arts, crafts and paints”. She bumped into a Crest staff member who also had kids in the same school as her children. 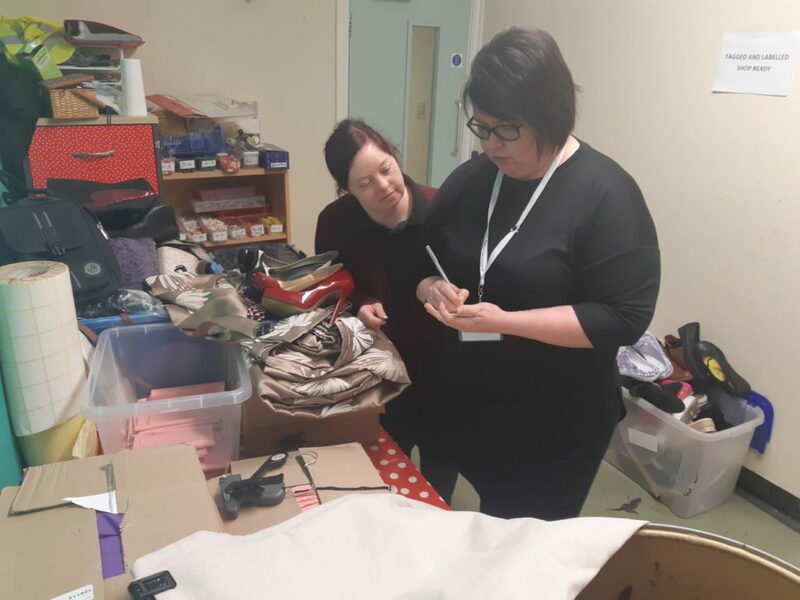 “She simply said, Beccy, you HAVE to come and volunteer with us, so I filled out an application form and joined the Work Opportunities team”. Beccy hasn’t looked back, having clocked over 600 hours in the year 2018 alone. She comes in 4-5 days a week, and rotates her volunteering around her children. “It’s something I’ve always wanted to do”, Beccy said, whilst asked about working with adults with learning difficulties and disabilities. “People ask me, how can you do it when you have a young daughter with additional needs, but it’s not the same”, she further explains. 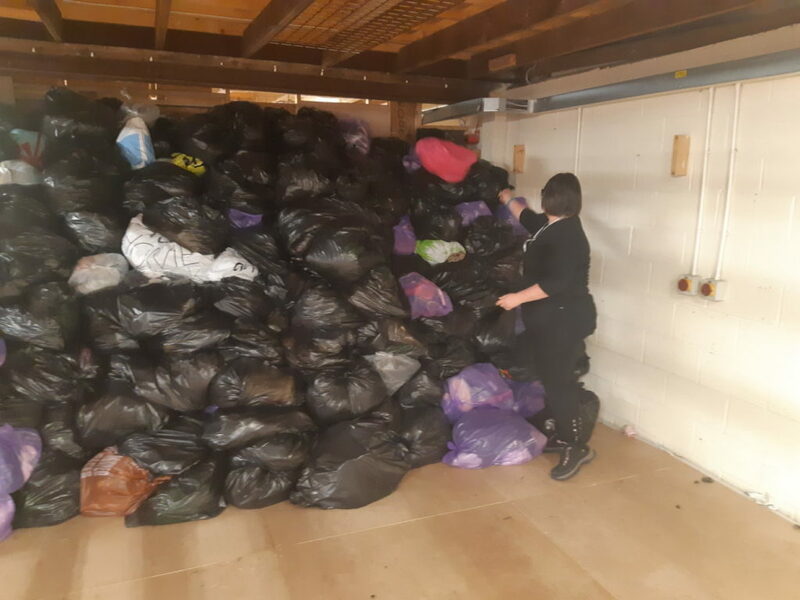 Beccy helps look after our adults with learning difficulties and disabilities and also sorts through the donated textiles and clothing, tagging the clothes ready for resale. The Work Opportunities staff and clients all enjoy working with Beccy closely and she quickly became a very popular volunteer. “The clients are all so different in their own little ways. And I don’t see the staff as colleagues, they’re my friends – we all work hard but have a laugh at the same time”. When asked about looking for work, Beccy says she’s happy volunteering at Crest for the foreseeable future. “I’m not looking for employment at the moment, because I don’t see myself leaving Crest. In fact, I’ve been told I’m not allowed to leave!”, she says laughing. To become a volunteer at Crest, please call 01492 596783 or email volunteering@crestcooperative.co.uk.